EXECUTIVE SUMMARY: Qatar and Saudi Arabia share a Wahhabi tradition, yet Qatar’s secular social character is more similar to that of Turkey. Despite their current antagonism, the leaders of the two countries share a forward-looking, less socially conservative vision. But a government-engineered modernizing process will be ineffective if it is not accompanied by political change. A multi-domed, sand-colored architectural marvel, Doha’s national mosque symbolizes Qatar’s complex and troubled relationship with Saudi Arabia. Its naming six years ago after eighteenth century Islamic scholar Muhammad Ibn Abdul Wahhab, the founder of one of Islam’s most puritan strands, sparked controversy, becoming an episode in the latest Gulf crisis. 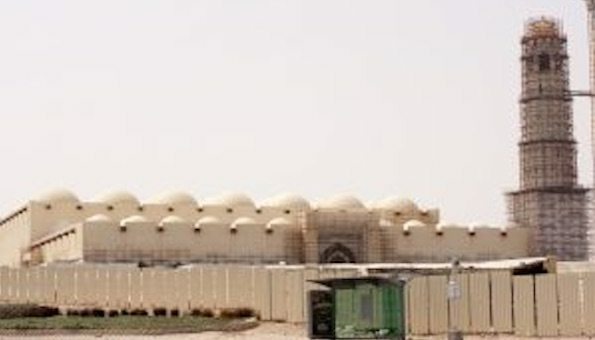 The naming of the mosque, which overlooks the Qatar Sports Club in Doha’s Jubailat district, was intended to pacify more traditional segments of Qatari society as well as Saudi Arabia, which sees the tiny Gulf state, the only other country whose native population is Wahhabi, as a troublesome and dangerous gadfly on its doorstep. Qatar has long challenged the Kingdom’s puritan interpretation of Islam. Now, together with the Saudis’ other nemesis, the United Arab Emirates, it offers an unacknowledged model for Saudi reforms envisioned by the Kingdom’s powerful crown prince, Muhammad bin Salman. This does not mean that Qatar no longer poses a challenge. If anything, it poses a greater challenge through its opposition to Saudi Arabia’s and the UAE’s counterrevolutionary strategy in the Middle East and North Africa – even if its vision of a Gulf ruled by more forward-looking, less socially conservative autocrats is shared by Prince Muhammad and United Arab Emirates Crown Prince Muhammad bin Zayed. The challenge posed by Qatar prompted the two princes six months ago to impose a diplomatic and economic boycott on Qatar. The crisis is likely to figure prominently in the upcoming first meeting of Gulf leaders since the imposition of the boycott at a Gulf Cooperation Council (GCC) summit in Kuwait. By naming the mosque after Ibn Abdul Wahhab, Qatar reaffirmed its adherence to the Wahhabi creed that goes back to nineteenth-century Saudi support for the rise to dominance of the Al Thani clan, the country’s hereditary ruling family – even if its social norms and foreign policy differed sharply from those of the kingdom. In fact, social change in Qatar in the past two decades has contrasted starkly with efforts by King Salman’s predecessor, King Abdullah, to maintain as much as possible of the status quo prior to the popular revolts that swept the Middle East and North Africa in 2011 in demand of greater freedom, transparency, and accountability. They also diverged radically from King Khalid and King Fahd’s earlier empowerment of the ultra-conservatives in response to the 1979 Iranian revolution and attack by Saudi militants on the Grand Mosque in Mecca. Qatar is a traditional Gulf state and a Wahhabi state to boot, but it has never had a powerful religious establishment that could enforce ultra-conservative social norms. Nor did it implement absolute gender segregation. Non-Muslims could practice their faith in their own houses of worship and were exempt from bans on alcohol. Qatar became a sponsor of the arts, including a Doha version of the Tribeca Film Festival, and hosts the state-owned Al Jazeera television network, which revolutionized the region’s controlled media landscape and became one of the world’s foremost global broadcasters. The UAE boasts many of the same traits minus the history of an ultra-conservative strand of Islam. 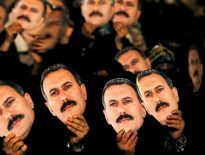 Political scientists Birol Baskan and Steven Wright argue that on a political level, Qatar has a secular character similar to Turkey’s and in sharp contrast to that of Saudi Arabia, which they attribute to Qatar’s lack of a class of Muslim legal scholars. The absence of scholars was in part a reflection of Qatari ambivalence towards Wahhabism, which it viewed as both an opportunity and a threat: on the one hand, it served to legitimize domestic rule; but on the other, it was a monkey wrench Saudi Arabia could employ to assert control. Generating a clerical class of its own would have enhanced the threat, because to do so, Qatar would have been dependent on Saudi scholars. That would have produced a religious establishment steeped in the Kingdom’s austere theology and inspired by its history of political power-sharing, which it then would have demanded. As a result, Qatar lacks the institutions that have often held the Kingdom back. Similarly, Qatar does not have families known for producing religious scholars. Qatari religious schools are run by the ministry of education, not, as in Saudi Arabia, by the religious affairs authority. They are staffed by expatriates rather than Qataris and attended by less than 1% of the total student body, and of those, only 10% are Qatari nationals. By the same token, Qatari religious authority is not institutionally vested. Qatar has, for example, no Grand Mufti, as do Saudi Arabia and various other Arab nations. It did not create a Ministry of Islamic Affairs and Endowments until 22 years after it had achieved independence. All of this should make Prince Muhammad and Qatari Emir Sheikh Tamim bin Hamad Al Thani, both men in their thirties, natural allies, were it not for their fundamentally different views of geopolitics and their countries’ place in the world. Underlying the UAE-Saudi-led boycott was a shift in Saudi perceptions of the challenge posed by Qatar since the 2011 revolts. While that challenge was to a significant degree religious and social in nature, it came to be perceived as exclusively political and geopolitical. That was evident in the conditions Saudi Arabia and the UAE set for ending the crisis. The two Gulf states’ demands amounted to Qatar’s putting itself under Saudi and UAE tutelage. Nonetheless, Prince Muhammad’s efforts to reform Saudi Arabia with his as yet limited roll-back of puritan restrictions amounted to a first step in adopting a more Qatari version of Wahhabism, even if this is something he is unlikely to acknowledge. His initial measures – lifting the bans on women’s driving and attendance at male sporting events; rolling back the powers of the Committee for the Promotion of Virtue and the Prevention of Vice or Mutaween, the religious police; and introducing long forbidden forms of modern entertainment – are in line with Qatar’s as well as the UAE’s social norms. Those norms are more liberal than those of the Kingdom, but not liberal by any stretch of the imagination. Qatar in particular, but in many ways the UAE as well, is what Muhammad would like Saudi Arabia to be. Qatar has the advantage that it projects to young Saudis and others the ability to change without completely dumping ultra-conservative religious precepts that have shaped culture and belief systems. It projects a vision of a less restrictive and choking conservative Wahhabi society that grants individuals greater opportunities, irrespective of gender. Qatar today is a long way from the mid-1990s, when Qatari women, as in Saudi Arabia until recently, were banned from driving, voting, or holding government jobs. Qatari women now occupy prominent positions in multiple sectors of society. With women accounting for 53% of the work force, Qatar outranks Middle Eastern and North African states by a large margin. Only Kuwait with 48% and the UAE with 42% come close. It’s a picture that long juxtaposed starkly with that of its Wahhabi big brother. In doing so, Qatar threw down a gauntlet for the Kingdom’s interpretation of nominally shared religious and cultural beliefs – a challenge Prince Muhammad appears to have embraced. “I consider myself a good Wahhabi and can still be modern, understanding Islam in an open way. We take into account the changes in the world and do not have the closed-minded mentality as they do in Saudi Arabia,” Abdelhameed Al Ansari, the dean of Qatar University’s College of Sharia, a leader of the paradigm shift, told The Wall Street Journal in 2002. Twenty years earlier, Al Ansari was denounced as an “apostate” by Qatar’s Saudi-trained chief religious judge for advocating women’s rights. “All those people who attacked me, most of them have died, and the rest keep quiet,” Al Ansari said. Qatar’s long-standing projection of an alternative was particularly sensitive as long as Saudi Arabia refused to openly embrace notions of social change, even if matters like allowing women to drive were long debated quietly. 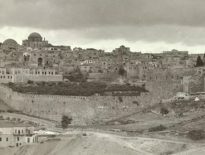 It was potentially dangerous to the Kingdom’s religious establishment, which worried that key members of the ruling family were toying with radical ideas like a separation of state and religion. Prince Mutaib, the commander of the National Guard, the only military unit that was not controlled by Prince Muhammad, was among those swept up in the crown prince’s recent purge. He was reportedly allowed to leave his gilded cage in Riyadh’s posh Ritz Carlton Hotel last week after paying $1 billion to the government to settle allegations of corruption. In a similar vein, Prince Turki al-Faisal, former head of intelligence and ambassador to the US and Britain, first hinted at a possible separation 11 years ago when he cited verse 4:59 of the Qur’an: “O you who have believed, obey God and obey the Messenger and those in authority among you.” Turki suggested that the verse referred exclusively to temporal authority rather than both religious and political authority. Prince Muhammad has brought the debate about whither Saudi Arabia into the open and signaled his intent to take the Kingdom into the 21st century, much along the lines of what Qatar and the UAE have done. He has left the country’s ultra-conservative religious establishment no choice but to endorse his moves even if they are likely to reinforce the fears of an older generation of scholars resistant to change. Over time they may spark opposition from younger generations critical of the prince’s autocratic style of government, the bending over backwards of their elders to accommodate him, and the possibility that he will deprive religious figures of whatever political influence they have left. Qatar’s model, like that of the UAE, aligns with Prince Muhammad’s vision in more than just the promotion of wider social margins. The Saudi crown prince, like Sheikh Tamim and the UAE’s Prince Muhammad, is engaged in an effort to upgrade autocracy and allow it to respond to 21st century social and economic demands while maintaining absolute political control and repressing all forms of dissent. With his arrests in September 2017 of Islamic scholars, judges, and activists and his purge of the ruling family, senior officials, and prominent businessmen in November, Muhammad was following in the footsteps – if on a far grander scale – of Qatar’s former emir, Sheikh Hamad bin Khalifa Al Thani, who silenced opposition to reforms. In one instance, in 1998, Sheikh Hamad arrested Abdulrahman al Nuaimi, a religious scholar who criticized his advancement of women rights. Al Nuaimi was released three years later on condition that he no longer speak publicly. He has since been designated by the US Treasury as “a Qatar-based terrorist financier and facilitator who has provided money and material support and conveyed communications to al-Qa’ida and its affiliates in Syria, Iraq, Somalia and Yemen for more than a decade.” Saudi Arabia and the UAE included Al-Nuaimi on a list of 59 individuals Qatar would have to act against if it wanted to get the boycott lifted. Al-Ajami’s crime appeared to have been a poem he wrote, as well as his earlier recitation of poems that included passages disparaging senior members of Qatar’s ruling family. The poem was entitled “Tunisian Jasmine.” It celebrated the overthrow in 2011 by popular revolt of Tunisian president Zine El Abidine Ben Ali, an event that was dubbed the Jasmine Revolution. Prince Muhammad’s unacknowledged embrace of the Qatari model did not stop him from employing Saudi Arabia’s Wahhabi religious establishment to fire a shot in the prelude to the Gulf crisis by demanding in May 2017 that the Sheikh Muhammad ibn Abdul Wahhab Mosque in Doha be renamed. The demand, put forward in a statement by 200 descendants of Ibn Abd al-Wahhab, came days after what US intelligence officials described as a UAE-engineered hack of Qatari state media involving fake news reports that put inflammatory foreign policy statements in the mouth of Sheikh Tamim, which in turn prompted the Saudi-UAE-led boycott. “We…demand that the name of the mosque be changed for it does not carry its true Salafi path,” the statement said. Simmering religious anger at being manipulated and opposition from within the Saudi ruling family may not, however, be Prince Muhammad’s foremost problem. Alongside his autocratic style, he is likely to discover, according to political scientist Calvert W. Jones, that a fundamental flaw in the Qatari and UAE development model is the fact that social engineering is easier said than done and that flashy projects like the creation of new, cutting edge 21st century cities, luring or building world-class universities and museums, and the promotion of tolerance won’t do it. “The problem is that authoritarian modernizers cannot simply command a new attitude among their citizens. Opening cinemas and relaxing gender segregation may impress Saudi youth, but a new economy requires far more. Reformers in the UAE eventually realized — as Saudi rulers will discover, too — that they needed to adapt both the mind-sets and the skill sets of the rising generation. In countries where people see a government job as a right, that means reshaping the very nature of citizenship,” Jones wrote in The Washington Post. Qatari and Emirati promotion of knowledge, culture, and innovation in a bid to create globalized citizens has succeeded in developing civic attitudes including notions of tolerance and volunteerism, but has failed to alter economic perceptions of the rentier state rather than the private sector as the creator of jobs. Based on a survey of 2,000 Emirati students, Jones concluded that the government’s effort had made them even more convinced of a citizen’s right to a government job and less interested in entrepreneurship. They saw a high-level government job as a deserved reward for the improved education they had received. “Social liberalization does not necessarily mean increased economic productivity,” Jones concluded. Perhaps her most fundamental finding is a flaw common to the Qatari and UAE as well as the Saudi formulas for reform: that top-down, government-engineered change and unilateral rewriting of social contracts produces results that fall short of what is required. The missing element in that formula is exactly what Qatari, Emirati, and Saudi leaders eschew: political change. “Social engineers may need to allow wider political participation if they want pro-globalization social engineering to succeed in the long term. The Emirati kids I studied had grown significantly more interested in contributing to public decision-making compared with their anachronistically educated peers. In other words, top-down social engineering can take authoritarian modernizers only so far,” Jones said.